Be aware of what is going on in your reef. 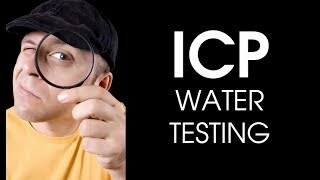 ATI Lab is an aquarium water testing service that measures 43 different water parameters using an ARCOS II ICP-OES (Inductively Coupled Plasma - Optical Emission Spectrometry) machine along with two other test techniques to provide you with a complete and comprehensive water analysis. The kit contains 3 test tubes to sample both your RO water and aquarium water for a complete analysis at an incredible price. With this test you will gain the knowledge of what your tank`s daily consumption of major and minor elements are, so that you can dose accordingly to keep levels stable. ATI ICP Water Analysis will also identify sources of pollution within your water before they can escalate into a larger problem. Performing partial water changes to correct water chemistry or compensate for trace elements will become a thing of the past. 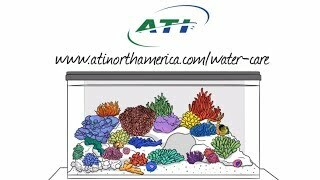 You will ultimately save time, money, and grow more robust and colorful corals! I have used this test several times and always get good consistent results. The price has gone up but I guess that's just part of life in the reefing world. It does take 2 weeks to get results but I love the fact they test tank water and rodi. Great value for the amount of tests performed. As the competitor to some of the other brands, ATI does a good job explaining the test results and a usable website. The only way to get this information! I have to wait 2 weeks :( BUT THE QUALITY IS WORTH IT!!! I used this and another competitor that is state side. I had to contact state side for my results and to date they still have not been posted on my system. I think the user interface with ATI is much more user friendly. Seeing as I use this to monitor my system before there is a problem, i am not so concerned with the two week period in fact this only forces me to keep tighter controls on my system. IF an emergency were to arise hopeful between my logs and other charts I should be able to isolate the problem. I do weekly water changes and in EXCEL i keep all data. Any changes to my system are logged and noted.